The Oaks Water Supply (TOWSC) is a not-for-profit, member owned co-op. The major requirements for membership are property ownership and responsibility for payment of water services to the property owned. Homebuilders, developers, and lien holders are not eligible for membership. TOWSC is managed by a Board of Directors elected by the membership. The Board consists of five directors who serve without compensation. The Board meets monthly, normally on the third Tuesday of each month, at 7:30 p.m. The meeting is held in the TOWSC office located at 26058 Hazy Hollow Dr., just inside the Scenic Oaks security gate. All members are welcome at these meetings. An annual meeting of the membership is held on the fourth Monday of March and it is held in the SOPOA building at the subdivision entry. The directors are elected at this annual meeting and members also vote on other issues as necessary. TOWSC serves 391 connections in the Scenic Oaks and Country Estates subdivisions in north Bexar County. 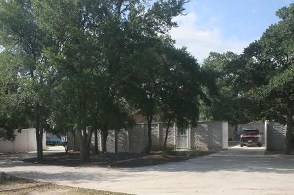 Development of the Scenic Oaks subdivision began in 1978. Development of Country Estates began in about 1996. In 1978 we were a very rural area with little development in the area and absolutely no water resources other than groundwater. Water was supplied by the developer-owned Scenic Oaks Water Supply Corporation (SOWSC) from 1979 until 1993. SOWSC was placed in Chapter 11 bankruptcy in 1993. When the IRS would not agree with the proposed recovery plan the court placed SOWSC in Chapter 7 liquidation. TOWSC was formed by residents to bid on the assets of SOWSC. Ten residents personally guaranteed a bank loan of $150,000 to fund the acquisition. TOWSC and two other entities submitted bids. TOWSC was the successful bidder, with a bid of $120,000. However we had also accrued $51,000 in legal fees dealing with developer bankruptcy, rate increases, Resolution Trust Corporation, and the bankruptcy court process. Accordingly, we started TOWSC with a $150,000 bank loan, $21,000 owed to attorneys and no money in the corporate checking account. Our initial total corporate value was $130,748. Our current corporate asset value is $2,008,195. We made no change in initial water rates except to implement a temporary surcharge of $20 per connection for debt retirement and potential unknown problems. We obtained a loan from Community Resource Group Inc. in 1994 which was used to retire the personally guaranteed bank loan. That loan also had much better terms, and was retired in 2001. During the period from October, 1993, to August, 2006, a contractor was employed to operate the system. The contractor provided daily maintenance and service as needed. The contractor was responsible for reading meters, billing customers, providing reports to TCEQ and the Board of Directors, and responding to customer inquires and complaints. Effective September 1, 2006, the Board hired our own staff to operate the system. Our staff is responsible for all company operations including limited maintenance. Maintenance beyond staff capability, primarily that requiring extra manpower or equipment, is still accomplished by contract. During our ownership we have made many additions and improvements to the system and are continuing to do so. When we acquired the system we had four operating wells and two booster stations with storage tanks. We had to accomplish a lot of deferred maintenance on the original equipment. In 1995 we purchased a large, unused lot to provide room for future expansion. The lot was in an ideal location for us and already contained one of our wells. Development of the Country Estates subdivision was completed in 1996 and ownership of its water system was transferred from the developer to TOWSC in 1997. During 2000 we drilled three new wells to help withstand the constant threat of droughts. These wells were initially connected directly to the distribution system. In 1999 we began a loan application process with USDA/RUS for construction of an additional booster station, storage tank, upgrade of an existing storage tank, construction of an office building and replacement of a deficient water line. The loan was made available in 2003 and construction was completed in 2004. In 2002 we submitted a loan application to TWDB for additional water lines to improve our system effectiveness. This project enabled us to feed output from two of the new wells directly to the new storage tank being built under the USDA loan. This project was completed in 2004 simultaneously with the USDA project. With extended loan application time the eventual cost of the USDA project increased to the extent we no longer had funds for an office/storage building. Using our own funds and volunteer labor from members, we constructed the building in 2005. When we acquired the system each operating location was enclosed by 6 ft. chain link fences with barbed wire on top. In addition to being unsightly in a residential neighborhood, the fences were also in very poor condition. All of our facilities are now enclosed by full masonry fences. We replaced them as we could afford to do so and used masonry for all new construction. During 2005 we also completely re-wired the electrical systems in the older booster stations. We were having overheating problems and fire danger from inadequate wiring. We also replaced rotting window and door frames in these buildings. In addition the original builder had placed the chlorination equipment inside the buildings. The wood and doors around these chlorinators were rotted. We removed the chlorinators from these buildings and placed them in separate fiberglass structures. One building had a failing roof which we completely replaced. All of the labor, except for electrical wiring, was provided by Board members. In 2006 we installed pressure transducers in all eight of our wells. These transducers enabled us to continuously monitor the water level in our wells. This capability is critical during extended droughts. In order to support the assumption of system operation and maintenance, we also made major equipment purchases in 2006. These were primarily a new pickup truck, a backhoe, and office equipment. In 2010 we acquired and installed a large emergency backup generator which enables us to continue supplying water when the primary electrical power fails. During early 2011 we completed installation of a Supervisory Control and Data Acquisition (SCADA) system. This system provides complete computer control of our system functions and complete data for monitoring and managing our system. The continuing drought of 2011 placed our groundwater supply in jeopardy. In July the Board of Directors began investigating any possible means to provide a reliable way to augment our water supply. By summer’s end all of our wells were pumping down to the well bottom, and some were beginning to pump air. We had already prohibited all use of any sprinkler equipment for lawn irrigation. Many members lost major amounts of landscaping. The experts were forecasting little if any aquifer recovery before summer of 2012 or later. We did not believe we could survive another summer under these conditions. Accordingly, we convened a special meeting with all members in September of 2011, reviewed all possible options, and proposed acquiring water from San Antonio Water System (SAWS) as a wholesale customer. We had already ascertained that SAWS was willing to supply the water. This option was made possible by SAWS’ recent construction of a 30-inch line to bring water from Canyon Lake, which passed directly in front of our subdivisions. We completed the approval process with SAWS and completed all mechanical aspects of the project on February 13, 2012. We completed installing the electronic controls (SCADA) and programming on February 20, 2012, and became fully operational on that date. The total cost was about $520,000 of which $368,550 is the SAWS impact fee for a 6 inch tap. This project was funded from existing funds and a one time assessment of $1,189 per connection. In February of 2011, in pursuit of a goal we had been working toward for many years, we requested a special TCEQ sanitary control inspection to determine eligibility for a SUPERIOR WATER SYSTEM rating, which is awarded to only a small percentage of Texas water companies. That inspection resulted in a recommendation that a SUPERIOR rating be approved. After a long wait, we were advised that our SUPERIOR rating had been approved, and the formal notification was received on February 20, 2012. During 2016 we replaced the original storage tank at Barn Owl with a new tank. The original galvanized tank had accumulated significant deterioration. We have added a larger pressure tank at the Country Estates pump station to improve system capability. We also have added two new pressure reduction stations below the Mountain Top pump station to improve distribution and control in that part of the system.